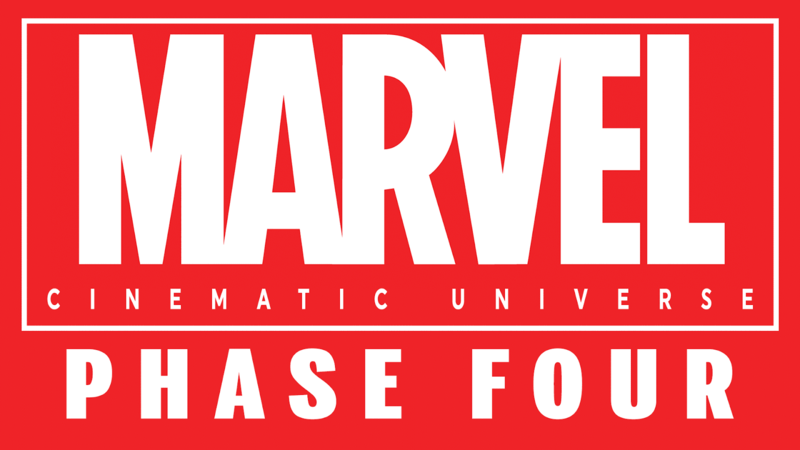 Is This the Direction for Marvel Cinematic Universe Phase 4? After having some time to digest Captain America: Civil War, I found myself specifically wanting the Marvel Cinematic Universe (MCU) to head in a few directions after Phase 3 concludes with Avengers: Infinity War. The second part of that film is still a few years away, so there's plenty of time for curve balls to be thrown with the movies that are set to come out next year and so forth, but I think I have a pretty decent idea of where things will end up. The only question is where things will branch off afterward with Phase 4, as we're left completely in the dark regarding which films are on the schedule and so forth. Allow me to think out loud and pitch some ideas of what I'd like to see going forward with the MCU. Keep in mind that this is all speculation and some fan fiction rather than any kind of factual news reporting, so if you have any other ideas in mind, pitch them in the comments below! Since Anthony and Joe Russo said they would be changing Avengers: Infinity War Part 1 and Part 2 to new title(s), I think one of those that is pretty obvious is Secret Avengers, where Captain America will lead his separate squad as an underground force of justice while Tony Stark heads up the other branch. This schism will allow for Thanos to take control much more easily until our factions rejoin and save the day. The Sokovia Accords won't be entirely eradicated, but I'm sure there will still be supporters. One person in particular who I feel is going to remain on that side is General Ross. It seems far too coincidental to me that they would use his character to represent this initiative and put them in a position in the film as the antagonists (so to speak) while he's taken part in something similar in the past. Disney still doesn't have full control over the rights to distribute a standalone Hulk film, which is part of the reason why he's tagging up with Thor and hasn't had a movie like The Indestructible Hulk or something. How do they get around this? Pair him up with Ross and the Thunderbolts. One of the only villains left who can battle Hulk is Red Hulk (Ross), and this movie can introduce/reintroduce a couple other characters as well. We haven't seen Betty Ross in a while, She-Hulk can be on Hulk's side along with Rick Jones, and some adversaries could be a returning Abomination as well as Zzzax and The Leader as well as a series of Hulkbusters. Maybe Skaar makes an appearance following Thor: Ragnarok if it resembles Planet Hulk in enough capacity? It would seem like an odd universe if Thor just stopped having adventures after dealing with Thanos, right? Chris Hemsworth can't seem to get his acting career to thrive outside of Marvel, so he probably won't be itching to leave as much as some other folk. On the topic of traveling to other planets and realms, we have so many options of other things we can tackle. The Secret Invasion is, of course, one of the biggest overall arcs that could be told for Phase 4 or 5, provided Disney gets the rights to the Fantastic 4 characters. If that's the case, I think we'll see the Fantastic 4 themselves used as a framing device for exploration. After all, that's what their series pretty much consisted of back in the day. They consistently discovered new uncharted areas and introduced more and more characters. This includes Silver Surfer and Galactus, the Inhumans, and even the possibility that they work for S.W.O.R.D. when they travel in space and get their powers to begin with. We've yet to see Dr. Doom in any movies deal with anything in the mystic arts, but with Doctor Strange in the universe, there's plenty of room for crossover there, and so many worlds can be opened if you tap into that side of the MCU. Perhaps most importantly, this would mean Kang the Conqueror could be utilized as a primary villain. In my mind, it would be killer if the end of Avengers: Infinity War is a tease that Kang is looking back into the past to see that the results from saving the universe had some other kind of an effect that he wants to alter in some way. Another aspect of taking things off Earth is with Captain Marvel. At some point, there will just be too many characters to keep having their own films, and I don't think we'll have Captain Marvel 2 and Captain Marvel 3 focusing entirely on Carol Danvers. This is not because it's a female-driven entity, but more so because her character doesn't work as well on her own. She doesn't have a long rogues gallery, and she's more of a supporting player in other series. To counteract that, I think we'll see her in a Nova Corps movie, working with that cast of characters. Some characters can continue with another movie or more, and I think a lot of where Marvel goes depends on how they want to utilize them. Supposedly, they do in fact want to do a Black Widow solo film, but what would the story be? Does she have her own film, but it still involves Hawkeye? Maybe they can explore a romance between the two if his family gets killed (sorry Clint), or Natasha will shack up with Bucky Barnes when they thaw out The Winter Soldier and restore his memories. I don't think we'll get a Serpent Society film about Captain America, but we could definitely get a return of Red Skull as well as a film about current politics with Flag Smasher as the villain, even if Cap takes up more of a leadership role and doesn't do his own thing as much. For that matter, what if Tony Stark is the new head of S.H.I.E.L.D. to replace a dead Nick Fury—as I'm convinced that he's going to be the sacrificial lamb of Infinity War—meaning we have a culmination of his character from an outsider to his role in Civil War being expanded. He did take on this job in the comics, so maybe he has to suit back up to fight the real Mandarin and the Ten Rings organization. There's definitely going to be more than one Spider-Man film. Rest assured. That series isn't going to just be Spider-Man: Homecoming and then guest spots in other movies. Obviously, we will get a third Guardians of the Galaxy movie and possibly more sequels to Black Panther and Doctor Strange, but I also wouldn't be shocked if T'challa only gets one standalone film. It will be weird if we go all the way through Phase 4 and we don't see Namor, Sentry, Amadeus Cho, and MODOK, just to name a few. I also would be looking out for some kind of a shared series in the style of The Defenders on Netflix that deals with the darker stuff like Blade, Morbius, Ghost Rider, and maybe Moon Knight, although I'm still holding out a little hope that they will just tie into Daredevil with Elektra and The Hand already as is. All of the above could be true, or none of it can come to pass, but if there's one thing that I can bet money on, it's that we will not see the X-Men crossing over. That series has too much of a foothold as its own separate universe, and Fox isn't going to be giving up the rights anywhere near as easily as they would be willing to part with the Fantastic 4 characters. I'm still 100% convinced that the Infinity Gauntlet will somehow be used to make changes to the continuity, allowing for recasting and some retconning to a certain extent, but clearly there won't be a hard reboot where they get rid of all the actors and such while allowing room to include the mutants. It's too soon, with Phase 3 ending in 2019 and Fox talking about having lots of X-Men films on the horizon. No matter what happens, though, I'm excited for the future. Although there have been some missteps along the way, the MCU has been a massive success and nearly everything just keeps getting cooler and cooler, so whatever Phase 4 and onward has in store for us, I'm sure Disney will be getting my money. What would you like to see be planned out, though? Let us know in the comments below!